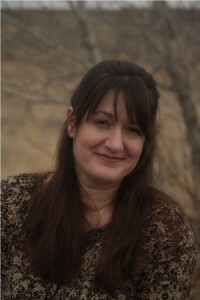 Frances Pauli writes across multiple genres. Her work is speculative, full of the fantastic, and quite often romantic at its core. Whenever possible, she enjoys weaving in a little humor. Once upon a time she was a visual artist, but she’s since come to her senses. Now she fills her minuscule amount of free time with things like crochet, belly dance and abysmal ukulele playing. She lives in Central Washington State with her husband, two children, a pair of hairless dogs and five tarantulas. I am inspired by many things, sometimes so many that it’s difficult to keep up with the story ideas. A lot of my books started with dreams or fragments of dream scenes. I also use a lot of real life experiences or characters based on unique individuals or real life acquaintances when they fit. Primarily, though, I think the writer’s mind does a fine job of throwing what ifs and imaginative scenarios at them to keep the muse happily productive. I like to tell people that I’m a reformed pantser. Once upon a time I wrote entirely from chaos, let the world and the characters unfold for me along the way, etc. Learning about structure and plot function, however, has introduced a little more planning into my process. I still don’t outline exactly, and I love a good surprise along the way, but I do know my major key plot points going in, and I have a great deal of plot notes in place ahead of time. We have an understanding that involves my paying attention and their letting me have the final say. That being said, they are, like their author, an argumentative group as a whole. Thankfully, we negotiate well. Never give up, never surrender? The key is to keep going. I think, if you can manage to do that, and keep believing in yourself along the way, then you are miles ahead of most of us. Also, study the business as much as the craft, or almost as much. You’ll never know everything about either, and both are vital to survival these days. When I began, self-publishing was still considered a shady sort of thing. It was not even a choice back then, you submitted and you waited and you endured. My first books found homes, but I was fairly disillusioned with the process and I kept a solid eye on the industry news, blogs, and what people were saying. It didn’t take long to work out that I wanted to try indie publishing, and while I maintain a presence on both sides of that little crack, I really love the control and artistic freedom that indie publishing provides. I think we should probably all stop debating what books will look like in the future and do our absolute best to make sure people still read at all in the future. I believe we’re missing the forest for the trees, and that multi-media entertainment, video games, apps, and things we haven’t even imagined yet are going to be insanely hard to compete with. So, future of books… I hope so, and I’m more than willing to embrace new means, ideas, evolutions and creative solutions to keep storytelling alive.